:Thank you to all of you who helped us celebrate twenty five thousand subscribers and 3 million views. We really appreciate each and everyone of you who watch our videos, like our videos and subscribe to our channel. We appreciate each and everyone of you who take the time to leave your thoughtful comments after practicing your yoga. We appreciate all of you who support us by being members of our community and through your donations. 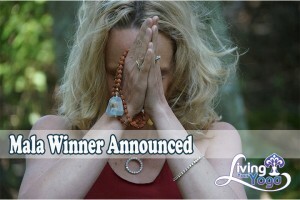 We were overwhelmed by the number of responses to our mala giveaway. Mostly we were touched by how Namaste Yoga has touched your lives over the past six years. This is a labour of love for Tim, Trinity and I. We know from your outpouring of comments that Namaste Yoga makes a significant difference to your life and for that we are grateful. We are grateful for your desire to continue to grow together in the years to come. That is our wish as well. I joined the Membership site in August 2013 but followed Namaste Yoga for several months (perhaps even a year) before. I love EVERYTHING about Namaste Yoga: from the easy way Melissa teaches and makes yoga accessible to everyone; to the way she interacts with her sweet husband who films and supports her behind the camera; to the way she encourages growth in my yoga practice in a loving; compassionate way; to the beautiful community she has created in the membership area where learning to live yoga off the mat is taken to a new level of understanding. I am thankful for all the ways in which Melissa, Tim, and Namaste Yoga have enriched my life, bringing me more love, awareness, and beauty. 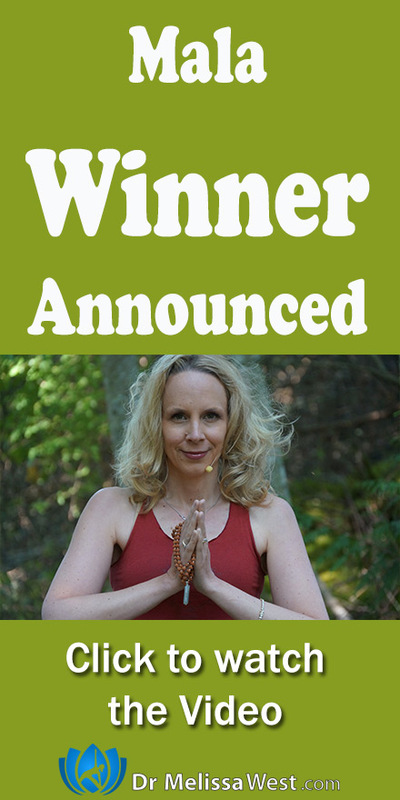 So congratulations to Nicole Nitzband. It is with great pleasure that I will be mailing this mala to her. 🙂 Thank you to all of you who entered. We appreciate you, we appreciate your comments and all your support.